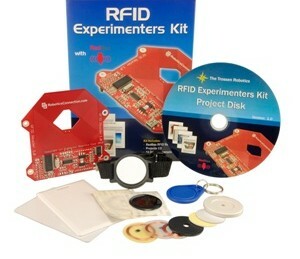 Trossen Robotics announced its latest version of the RFID Experimenters Kit for RFID technology enthusiasts. In this latest release Trossen has added Windows 7 support, which gives hobbyists the ability bypass the conventional typed-based password method and instead have the computer just sense a RFID tag in your pocket and Voila! The kit includes pretty much everything one would need to get started: a RedBee RFID reader, an assortment of RFID tags and a USB cable. 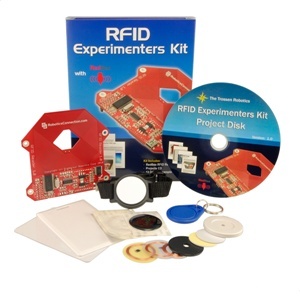 Also included is a home project disk with 5 do-it-yourself projects including the RFID login (Windows 7), the RFID deadbolt, the RFID safe, RFID racers, and RFID data logger. 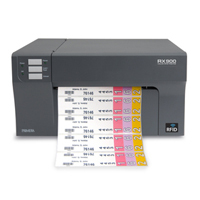 The supplied RedBee RFID reader is capable of being used as a tethered device to a PC or microcontroller or as a pre-programmed stand alone device. The RedBee also comes default with USB and TTL serial with the ability to add Xbee for wireless communication.